This hand-woven challah cover is part of the exclusive sterling silver challah cover collection. 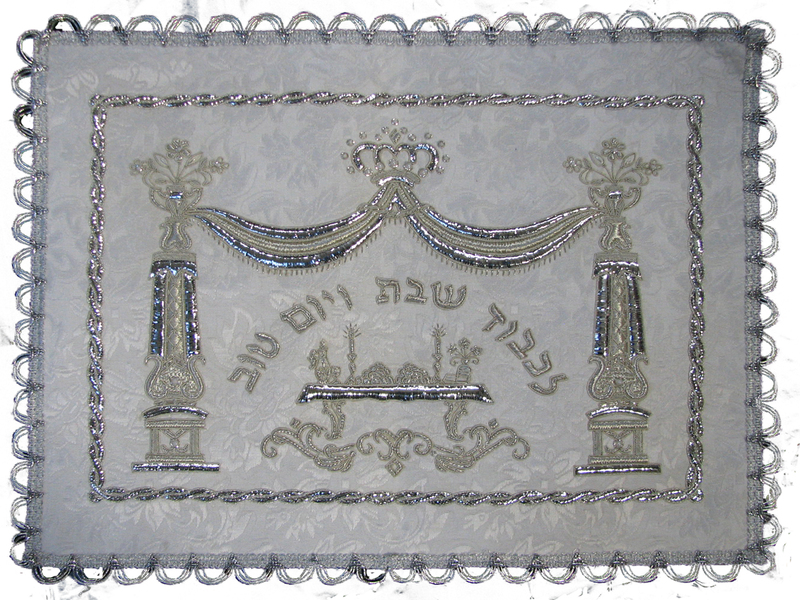 The challah cover, which includes sterling silver thread to emphasize its glamor, is decorated with a canopy and supporting pillars on elegant heavy brocade fabric. The middle frame has a silver border fashioned in the twisted rope style. In the center rectangle, a set Shabbat table is masterfully embroidered with the Hebrew words “Likavod Shabbat V’Yom Tov”, which means “In honor of Shabbat and Yom Tov”. The edges are finished with silver arches.